As I mentioned last week, I've never been a a big fan of lavender...until now. It's the color that's everywhere this spring, in varying warm and cool tones. with all kinds of different finishes, patterns, and textures. I hate to say that there's something for everyone, but...there's literally something for everyone. 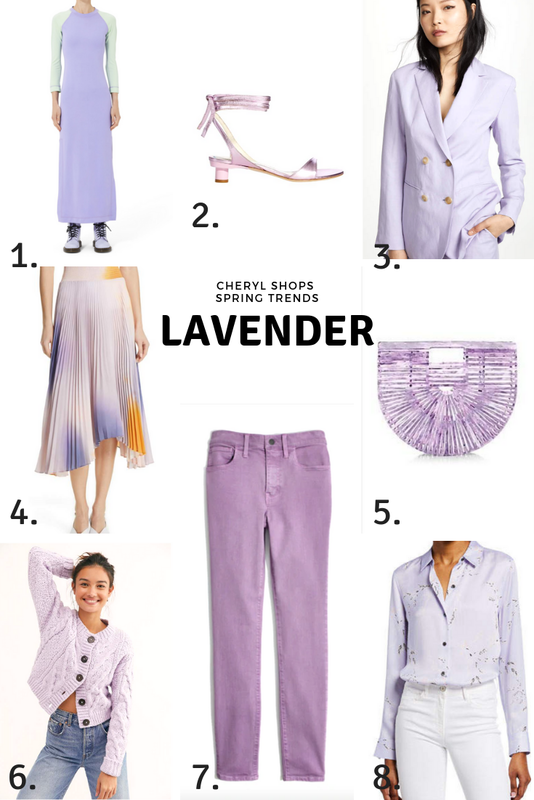 Here are my favorite lavender pieces for spring. 1. This dress is part of the resurrected Marc Jacobs grunge collection, and my inner 14-year-old is here for it. 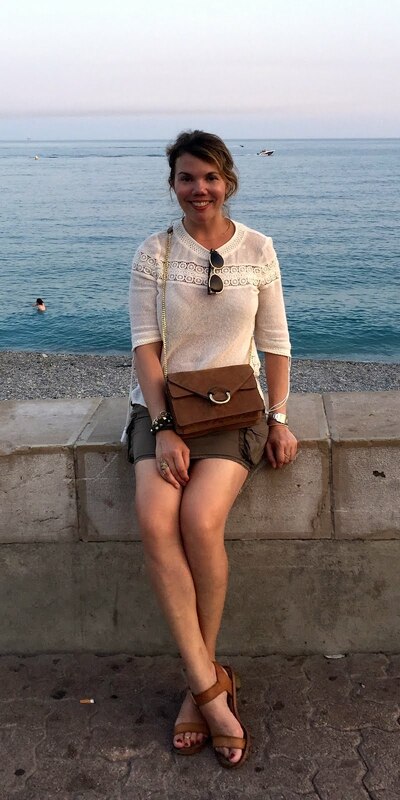 I love the simplicity of it, especially the contrasting sleeves. 2. A friend of mine recently referred to Tibi as "Céline Junior" and now that Phoebe Philo has left the building, Tibi has really taken up that mantle. 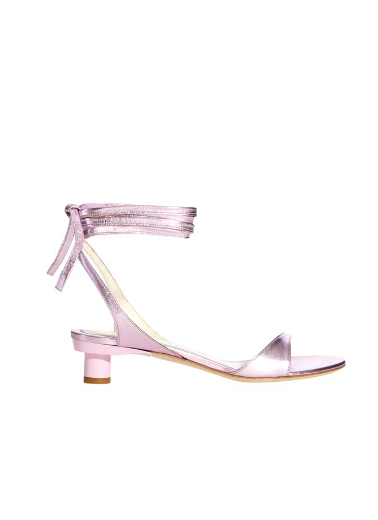 These shoes are simple and understated, but the metallic lavender color is a little unexpected and fun too. 3. An all-lavender suit might be a little too much, but this double-breasted blazer alone would look awesome with jeans and a tee, or even over a dress. 4. This one is cheating a bit, since there are shades of blush and marigold here too, but I'm in love with the watercolor effect, asymmetrical hem, and flattering midi length. 5. 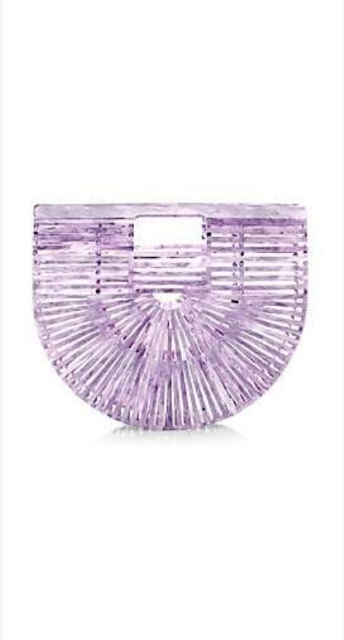 Just when you thought the Cult Gaia bag was over, they've brought it back in a bunch of fun colors (and bonus, this one is on sale). 6. Considering spring is still a work in progress in many parts of the country, this chunky-knit cardigan is very "wear now." The shape is classic, but the color feels so fresh. 7. 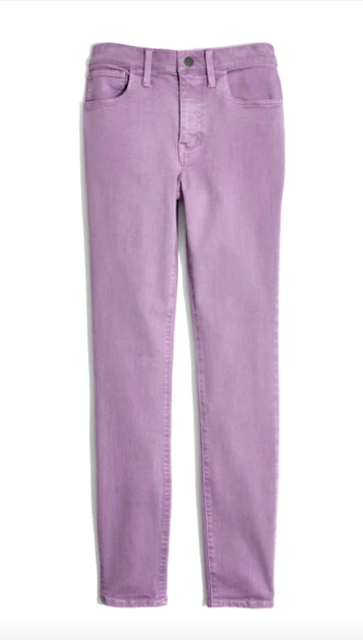 Remember a few years back when colored skinny jeans were all the rage? Perhaps those days are back? Either way, I like the richness of the color, and this high-rise cut is incredibly flattering. 8. 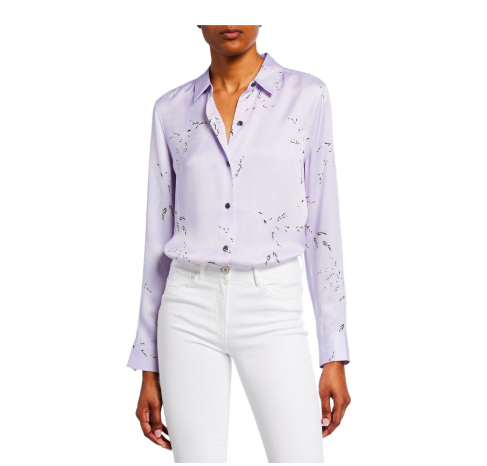 Equipment makes the best silk shirts around, and when they come up with pretty prints like this, they're even harder to resist. I love how feminine this one is, without being overly girly. I love the lavender trend. That floral blouse if gorgeous. 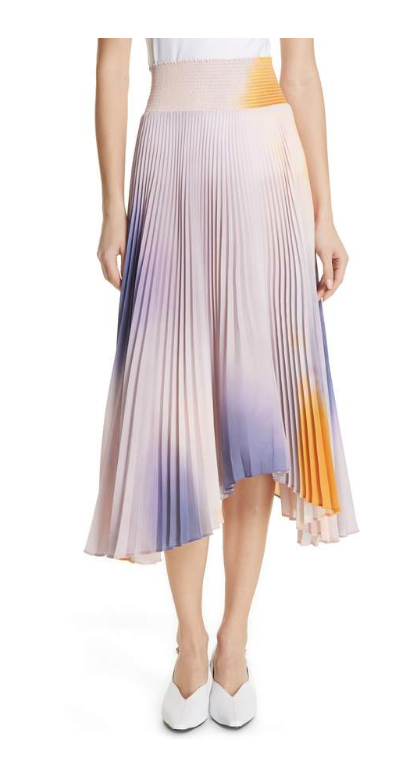 That midi skirt is so pretty, I just love all of the colors in it. Lavender def. makes me think of the Spring! This is such a pretty shade that I don't have enough of in my closet! I did just get that midi dress and a blazer in this color so I'm excited to rock it this spring! Love all your picks! Isn t it just such a beautiful color! I !over that pleated skirt! I love all these pieces! Especially the watercolor skirt! I have been seeing lavender EVERYWHERE.